Many trans people face problems in daily life because their legal gender on their ID does not match their gender identity. Picking up a parcel at the post office, applying for a job, boarding a plane, or lodging a harassment complaint can become a repeated source of harassment, unfounded suspicion, and even violence. The purpose of gender recognition procedures is to overcome this gap, giving official recognition to a trans person’s gender identity. Gender recognition goes beyond being an administrative act: it is essential in order for many trans people to be able to live a life of dignity and respect. 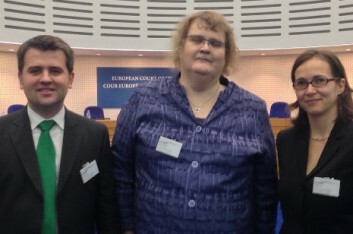 The Council of Europe demands that its member states provide for legal gender recognition, but only 30 countries in Europe have robust legal procedures, and only 5 currently do not demand that trans people undergo sterilisation or medical interventions, divorce, or a psychological diagnosis or assessment. These abusive requirements, or the lack of legislation altogether, means that most trans people are stuck with documents that do not match their gender identity. Most existing gender recognition procedures are also very lengthy and complicated. A medical and legal limbo is inscribed in nearly all existing laws regulating gender recognition. Prerequisites require the individual to give up one or more human rights to gain another: physical integrity, the right to form a family, or being married must be traded for the protection of private life. 20 countries in Europe require that trans people undergo sterilisation before their gender identity is recognised. The Human Rights Commissioner has critically remarked that “Transgender people appear to be the only group in Europe subject to legally prescribed, state-enforced sterilisation”. Other requirements may include diagnosis of a mental disorder, medical treatment, invasive surgery, assessment of time lived in the new gender identity, and being single or divorced. Such requirements violate a person’s dignity, physical integrity, right to form a family, and right to be free from degrading and inhumane treatment. TGEU works to ensure that every person in Europe can change their name and/or gender in official documents without any interference. We advocate for quick, accessible, and transparent legal gender recognition procedures based on self-determination. To achieve this, TGEU runs campaigns and raises awareness, provides research, legal analysis and advocacy materials, and works together with trans rights organisations and other stakeholders. On the European level, we advocate for political support for trans-inclusive policies and condemnation of abusive procedures. Find here best practice examples of gender recognition laws and case law. 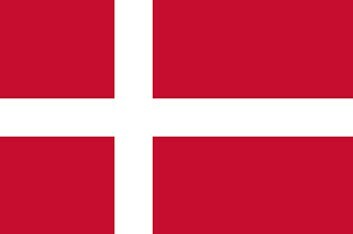 TGEU PR: Denmark goes Argentina! 11. June 2014 TGEU PR: Denmark goes Argentina! Access All Areas! Recognition Opens Doors. 14. January 2014 Access All Areas! Recognition Opens Doors.